Yesterday, I recorded and posted Word Magazine 52 (listen here). This is the fourth and final episode in a series of reviews of RB apologist James White’s text presentation on Apologia radio/tv (listen here). In this episode I make reference to my text note on John 5:3b-4 and to WM # 39: Should John 5:3b-4 be in the Bible? 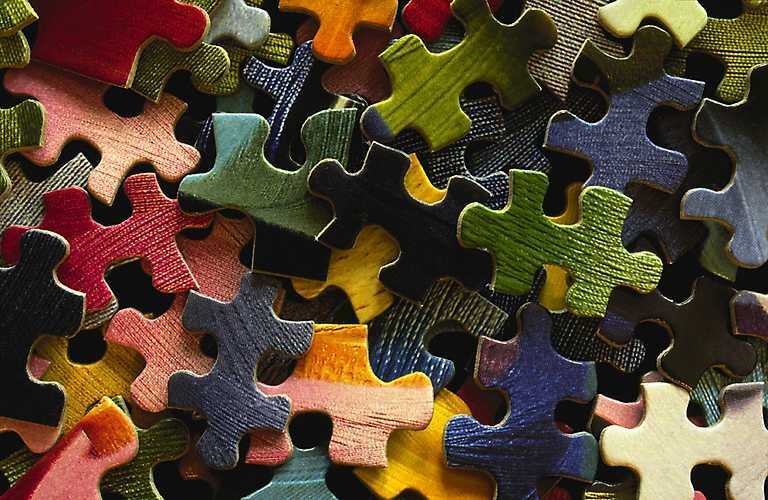 I also refer to my online debate with apologist Jamin Hubner and my response to his use of the “puzzle pieces” illustration for modern text criticism (see this post). JW uses the same illustration and cites the source as Rob Bowman (as cited by Dan Wallace). I believe this illustration shows the problem with the modern restorationist approach, rather than inspiring confidence in it. In this episode we do get to the heart of the matter. Is the modern critical approach to text and preservation espoused by JW and others consistent with the perspective in chapter one of the WCF or the 2LBCF 1689? The modern view suggests the Word of God is preserved in the mass of corrupted copies and that only in the modern age have scholars been able to approximate the elusive original autographa. The confessional view suggests that the divine originals of the immediately inspired Word of God have been preserved in the apographa (copies) which accurately reflects the autographa. It stresses preservation not restoration. Richard A. Muller on the orthodox Protestant view of text and preservation: “The case for the Scripture as an infallible rule of faith and practice and the separate arguments for a received text free from the major (i.e., non-scribal) errors rests on an examination of the apographa and does not seek infinite regress of the lost autographa as a prop for textual infallibility” (Post-Reformation Reformed Dogmatics, Volume 2, p. 433). John Owen on text and preservation: “… We add, that the whole Scripture, entire as given out by God, without any loss, is preserved in the copies of the originals yet remaining…. Indeed, in them all, we say, is every letter and tittle of the word. These copies, we say, are the rule, standard, and touchstone of all translations, ancient or modern, by which they are in all things to be examined, tried, corrected, amended; and themselves only by themselves” (Collected Works, Vol. 16, p. 357). I really appreciate your work on this issue. I'm listening to this audio series now, which I found on Confessional Bibliology -- Pericope de Adulterae. I've recently rekindled my interest in the Bible, and I've been doing a lot of reading and studying lately. I read T. Letis' "Ecclesiastical Text" when it came out, and I learned NT Greek about the same time (20 years ago?) so I'm familiar with issues of textual criticism. I'm glad I found your articles and audios. Again, thank for the work you've done on this issue. I'll be waiting for more!